The São Paulo/Guarulhos International Airport is only about a half an hour's drive away from the Tivoli Sao Paulo Mofarrej, but once you factor in traffic, that timing is bound to change. For those who have been to Brazil before, welcome back, and to those who haven't, welcome to São Paulo. 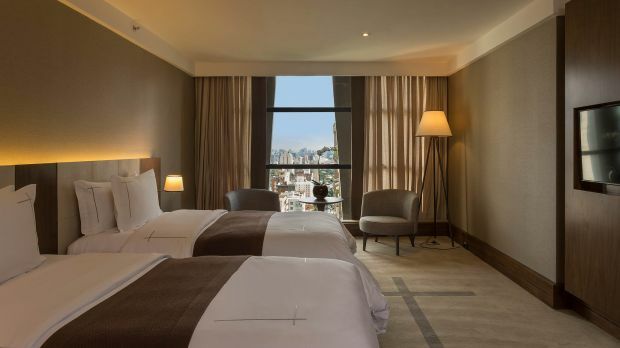 In the midst of this city's magic, guests will find the Tivoli São Paulo Mofarrej, one Brazil's most relaxed hotels. A place where even guests who enter in a frenzied or hurried state will leave well-rested, well-fed, and appreciative of all that this country has to offer. Located in the Jardins area, just one block from Avenida Paulista, the Tivoli São Paulo Mofarrej lays in the centre of the city. Whether you've made your way to Brazil for business or pleasure, you'll have everything you need right here. 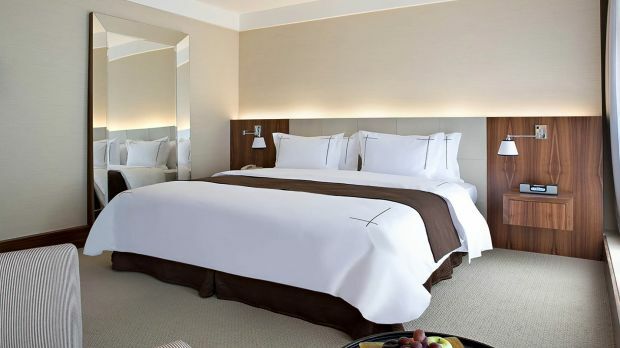 The guestrooms are simple yet chic, and excellent meeting rooms serve as a bonus. The hotel is also home to the largest presidential suite in South America, and a heavenly heated outdoor swimming pool to stylishly float about in. Put up your feet after a day of shopping, exploring, or - heaven forbid - working. And revel in the tranquility of Tivoli São Paulo Mofarrej. Send an availability request with your requested dates to the Tivoli Sao Paulo Mofarrej. The Collection rooms, with 29 m² include a resting area and common living area. Decorated with a Queen or King Size bed, chair and table, and coffeemaker. 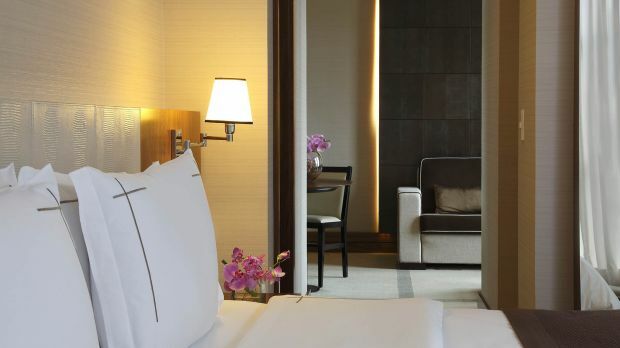 The Deluxe Plus room has a King Size bed, in addition to a comfortable workspace in an area of 38 m². The large living room has a chair, sofa and coffee table. Bathrooms have a bathtub and separate shower enclosure. Deluxe Plus room has 2 Twin beds, in addition to a comfortable workspace in an area of 38 m². The large living room has a chair, sofa and coffee table. Bathrooms have a bathtub and separate shower enclosure. Suites offer an area of 45 m² comprised of two common areas, with a living room and room. The area has a dazzling view of Trianon Park and is equipped with a sofa, chairs and walk-in closet. The large bath has a separate bathtub and shower.